Well, they’re not really Singapore Noodles because we can’t make them with egg noodles (so sad!!) but they are based on the dish that I grew up with. The thing I love most about this dish, (well, apart from the fact that my family all loves it! 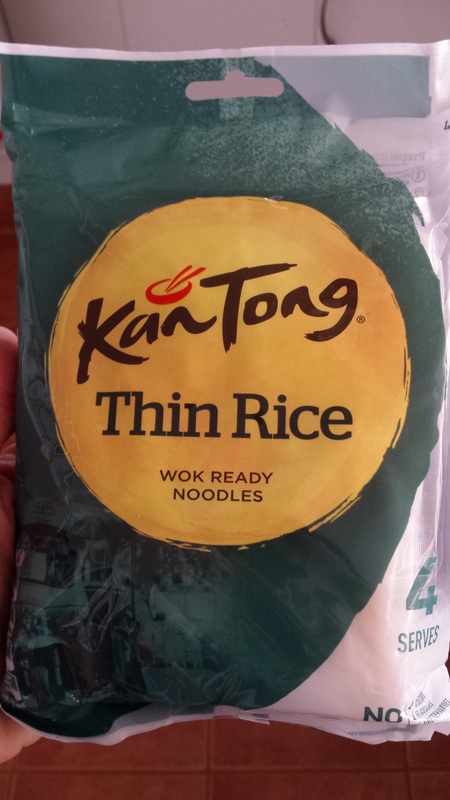 ), is that it can all be prepared in advance and then takes, literally, 10 minutes at dinner time. Yay! 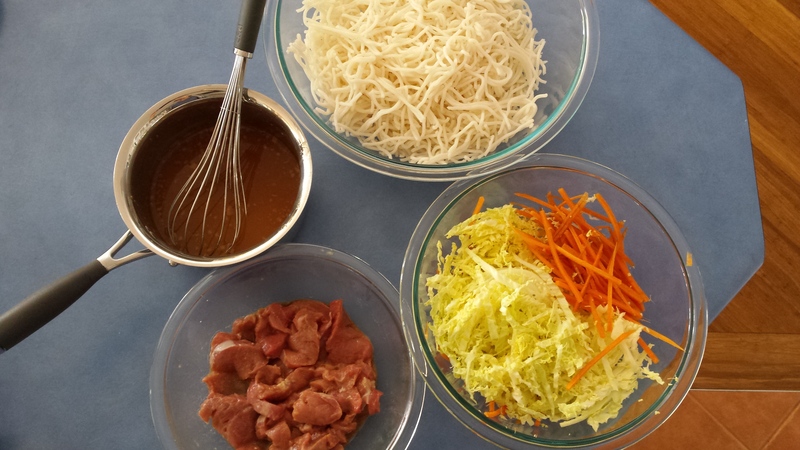 Mix together all marinade ingredients until smooth. Finely slice pork and place into marinade. Mix to cover all meat and then leave, covered in fridge for at least 2 hours. Mix together all sauce ingredients in saucepan and set aside. Fry pork in a small amount of oil in wok or pan. Remove from heat and set aside. Place cabbage and carrot in work and cover to wilt. Put the sauce saucepan on a medium heat and bring to a gentle simmer. Allow to simmer gently for a few minutes to thicken and reduce slightly. While the sauce is simmering, place the noodles in a large bowl and cover with boiling water. Stir until warmed through, then drain and add to veggie mix. Pour the sauce into the noodle mix. 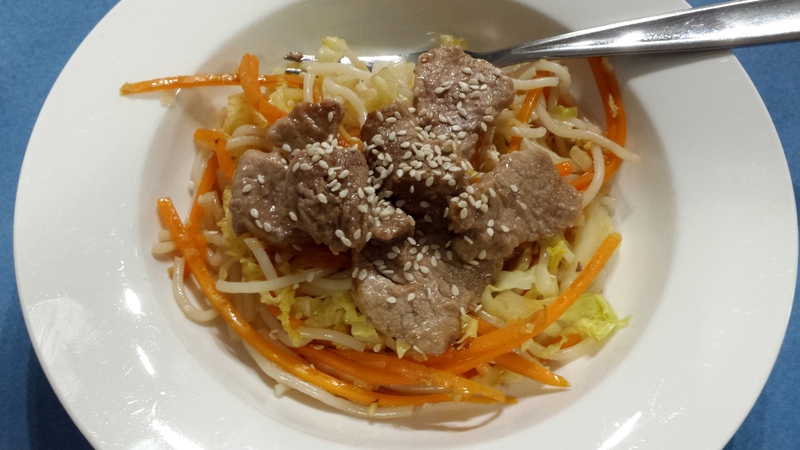 Serve the noodles then top with pork (and some sesame seeds if your diet allows).